I could say i did not like anything extra, but need to say that the house was on the good location. This is a unique property with bags of character. A bit like the host Elizabeth who was very lovely and welcoming. Nothing. This place is an absolute shambles! Please do not stay here full stop but especially if you have children!! Location very peaceful with all cafe life only a short walk away. Grand old building in a good location in a nice area. Hus og rom var sjarmerende møblert med mye originalmøbler. Stort og fint rom. Relativt sentral beliggenhet. Newhall This rating is a reflection of how the property compares to the industry standard when it comes to price, facilities and services available. It's based on a self-evaluation by the property. Use this rating to help choose your stay! 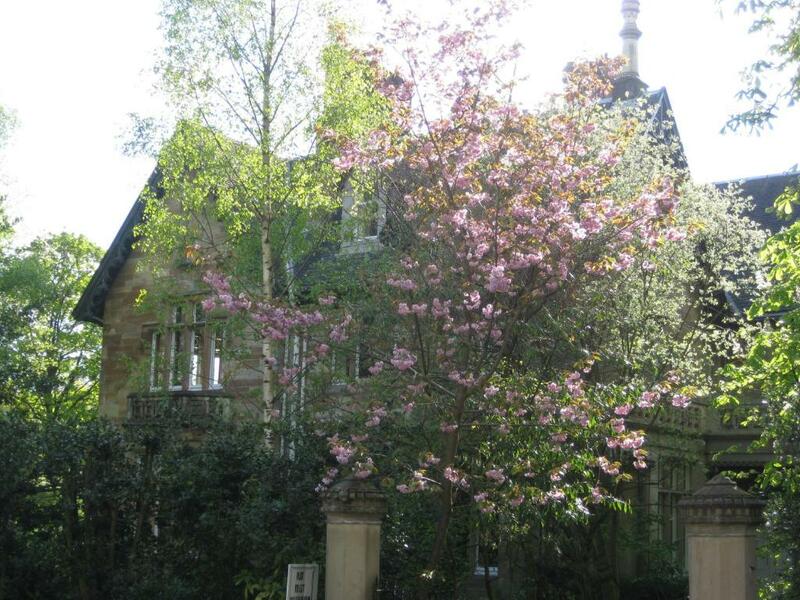 Newhall is a Victorian gothic villa located 10 minutes’ drive from Glasgow city center. Garden views and original Victorian furnishings are featured in its apartments. Free private parking is available in the grounds of the house. Free Wi-Fi, a fully fitted kitchen and a private bathroom are featured in all apartments at Newhall. High ceilings and large windows provide a spacious feel with plenty of natural light. The house is located on The Glasgow Dowanhill Heritage trail and only 10 minutes’ walk from the Botanic Gardens. Glasgow Central Rail Station is just 2.5 mi away and has services to Edinburgh and London. When would you like to stay at Newhall? 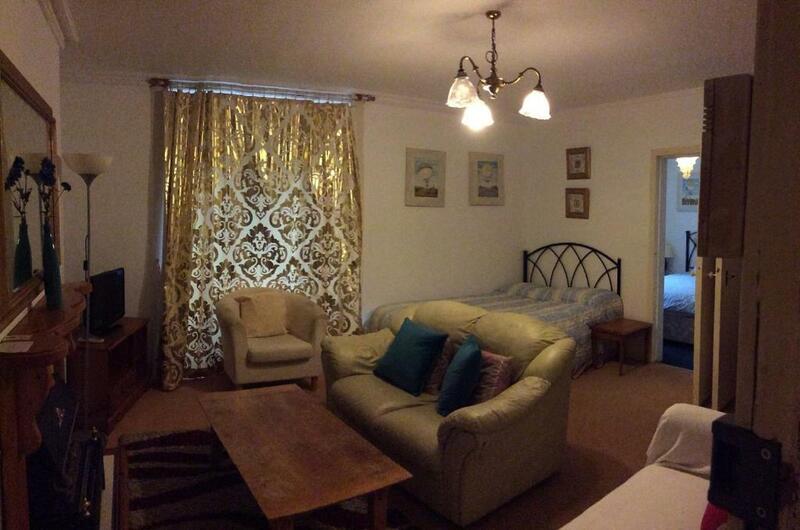 This studio has a spacious bedroom with a king-size bed, and there is also a single bed. The private bathroom comes with a bath and walk in shower. The kitchen/dining/living room also has a sofa bed. An original Adams style fireplace and large windows are featured in this studio. A Victorian dressing table and carved oak sideboard are also included. The house sits in a mature natural garden surounded by trees. Sleeping up to 3 guests, this charming rustic cottage has its own mature garden with outdoor seating and a barbecue. It has gas central heating, a fully equipped kitchen and open plan living space, and private parking. There is a 32-inch TV with Freeview channels, a tartan sofa which opens into a bed, and a window seat overlooking the garden. 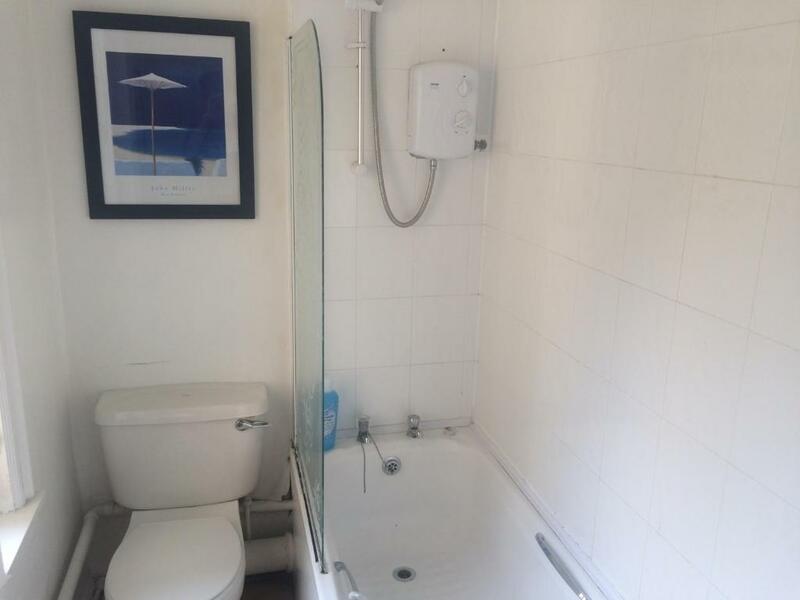 The bathroom offers a shower over a bath. This cozy Victorian cottage is full of character, with a lounge and a fitted self-catering kitchen. 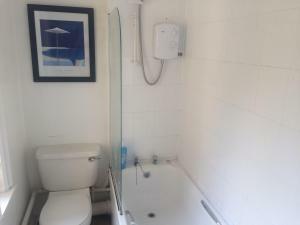 There is a double bedroom upstairs and a bathroom with a corner bath. It is entered from the terrace town house in the exclusive Kirklee Circus. It is located by the Botanic Gardens on Kirklee Circus, Kelvinside G12 0TW. It offers access to the garden and has private off-road parking. This bungalow is just 2 minutes' walk from the Royal Botanic Gardens and the lively Byres Road. Located in Glasgow's luxurious Dowanhill area. 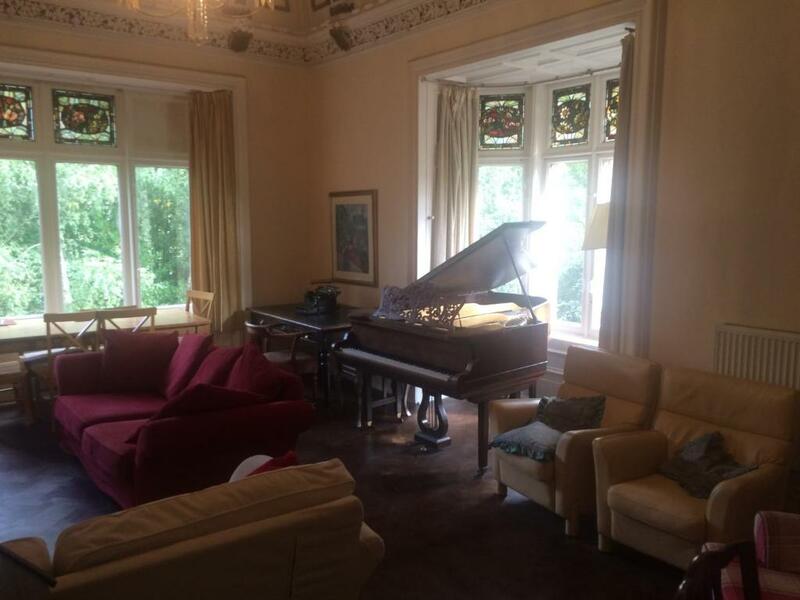 Apartment has 1 double bedroom, a single bedroom, kitchen and magnificent living room with grand piano. 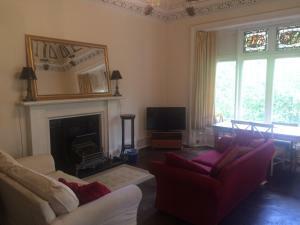 Located an 8-minute walk to Byres road which has fantastic restaurants, bars and independent shops. Tesco, M&S and Waitrose are all within a 10-minute walk. The beautiful Botanic gardens are just 5 minutes' away on foot. Overlooking the garden, this ground floor apartment features an oak paneled living room with original carved fireplace, two double beds, sofa and en suite with walk-in shower. There is a kitchen area and 6 seat dining table. You will also find a 32-inch flat-screen TV. Hosted by Mrs Morris the owner of this delightful property. Mrs Morris the owner of this delightful property. Newhall is a tudor gothic villa (serca 1857) retaining all its original architectural features including stained glass windows and cornicing. It also has a mature magical garden which is beautiful all seasons especially in the summer for late drinks p. It is located in the vibrant westend minutes walk from the Botanic gardens, Glasgow university, the famous great western and buyers roads. It is a grade two listed building as it has a mark in history and a wonderful story which can be researched online. I am an avid collector of antiques which are scattered about the house. For the last thirty years i have endeavoured to retain this piece of glasgows historic architecture. This is part of glasgows beautiful westend, featuring bygone days. It has wonderfull parklife as well as architecture and history. House Rules Newhall takes special requests – add in the next step! A GBP100 damage deposit is required 0 days before arrival (about USD130.09). This deposit will be fully refunded 0 days after check-out, as long as there isn't any damage to the property. Debit card Cash Check (domestic only) Newhall accepts these cards and reserves the right to temporarily hold an amount prior to arrival. Newhall accepts these cards and reserves the right to temporarily hold an amount prior to arrival. Please inform Newhall of your expected arrival time in advance. You can use the Special Requests box when booking, or contact the property directly using the contact details in your confirmation. A damage deposit of GBP 100 is required. That's about 130.09USD. You should be reimbursed on check-out. Mistake made by booking. Com on the age of the children, room had not enough beds for amount of guests, were given an alternative rooms for 1st night which were unhoovered shower had mould on the inside, sofas were worn and uncomfortable kitchen utilities not clean, 2nd night had to move rooms again, 2nd room was cramped with beds, beds were broken extremely uncomfortable, couldn't shower due to height of shower, had a bad smell throughout, avoid this location at all costs. Room hadnt been cleaned. Bed was uncomfortable. This property is an absolute disgrace. I have never seen such a filthy property and I have complained to booking.com requesting they take this property off of their website. We could not stay here due to the disgusting state of the place. 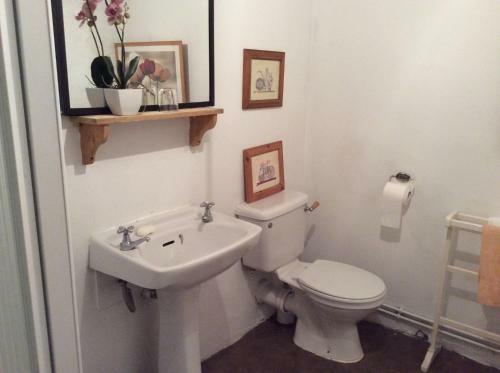 We were offered a "cottage" down the road as an alternative and unless doors that don't open due to the keys being missing, bathroom renovations that are still in progress, strong smell of damp and massive holes in ceilings are your thing, please don't stay here. It was filthy. Carpet was vile, couldn't take our shoes off. Kitchen had to be cleaned before I could use it and had to buy cleaners and dish soap. Bathroom also dirty and had to be cleaned-- gross hairs in the tub. Entire place was covered in dust. Considering price charged, it was shocking how dirty it was. A very uncomfortable stay because it was so unclean. Room was really dirty, dust everywhere, extremely, i did have runny nose the time i spent there, sneezing all the time. I bet bet the room was not cleaned for very long time., no hoovering for ages. Carpet disgusting, dusty, moth eaten. Bed linen were not fresh, i am afraid to say that i believe they had been used for someone else. Crinkly and not fresh looking, we could find even some staining. The room were full of moths, flying every where. Shower had only boiling water coming out, lucky for me that i did not scold myself. This place is shocking. Do not book it. We booked for tenants as we were getting work done on our flat and the place was so bad they only lasted a few hours before heading back to stay in our flat with no toilet ,heating or running water. They had been in various Airbnb places in the weeks before and had glowing reviews from them all but when I complained the owner got her caretaker Andrea to phone me and rant on about how bad my tenants were and that they had left the rubbish. Absolute nonsense. I was promised money back but haven't had it. Dreadful dreadful place. I had seen some bad reviews but gave them the benefit of the doubt..... My tenants weren't paying to be there and had nothing to gain by getting a taxi back to their freezing flat late at night but simply could not spend one night in this place .j No one expects an old property to be as spotless and flawless as a modern built place but this place us uncared for and filthy. Everything is fine appropriate to cost. Flats have old carpets, smell of damp, mattress are old, with no support and very dirty. Kitchen again very greasy as is the oven an work surfaces and cabinets. Toaster kettle and microwave were just nasty. Pictures show the nice rooms when they were in better condition. Beware this is not what you get. Not hygienic at all. The driveway and the lobby were littered. The Room was cramped with (very) old furniture. The toilet was very dirty (blood spots in and outside). We never received the two missing towels. We never saw the owner. We came late night(10 pm) as was reported by us in booking (with two small kids, 0, 2y). Nobody, at the premises. Nobody knew about us that we should come. 30 min on the phone with lady, later have been moved to the other place. We booked quiet place for small kids ground floor. Instead had to move to the busy city centre on noisy street + we get 6 floors of steps with all the kids bags extra. Luckily that we brought own baby cots (which should be included) and toilet paper as well. Heating of course off. Flat looked like before reconstruction but we able to stay overnight. Payment deducted fully, even we asked for discount. The morning we left met in lobby other people complaining. Nothing I can think of . Lovely place with a wonderful owner .